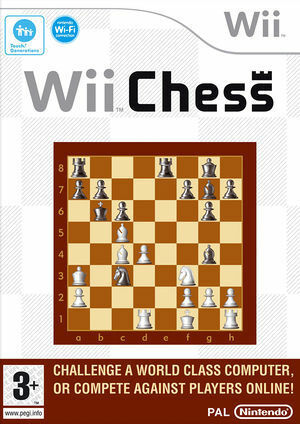 Wii Chess is a chess video game. A similar downloadable WiiWare version, Tsūshin Taikyoku: World Chess (通信対局 ワールドチェス), was released in Japan. The game is played using the Wii Remote. However, instead of the pointer function, chess pieces are moved across the board using the D-pad on the controller. It has local and online multiplayer. The graph below charts the compatibility with Wii Chess since Dolphin's 2.0 release, listing revisions only where a compatibility change occurred.